Opened 1881 (or 1887?) as the Victoria (Music) Hall, seating 1,500. Renovated & renamed the Playhouse in 1909 - becoming Hamilton's first cinema. Renamed the Granada, 19?? Reverted to live theatre use as Granada Theatre, in December 1947. Closed in 1958. Now derelict after a period as shop use. 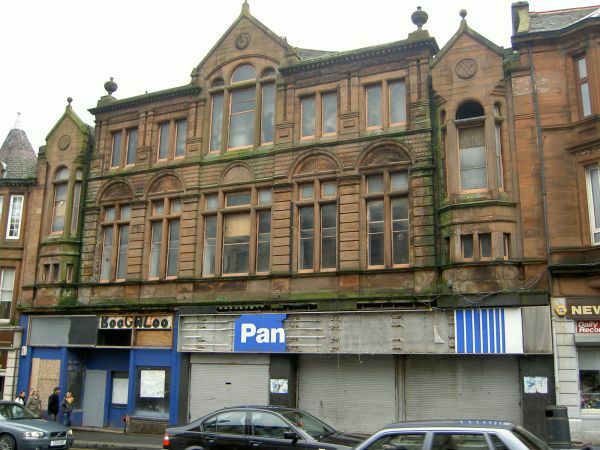 Plans have been submitted to demolish the auditorium for flats, but to retain the frontage.